As part of our local Food Day events this year, we decided to promote a CalFresh Challenge. The Challenge asks participants to live for a week (or five days, in our case) on the average benefits provided by CalFresh, California's version of the federal Supplemental Nutrition Assistance Program (SNAP). In California, that means participants were expected to spend no more than five dollars a day for all their food and beverages. My goal was to not only stay within budget, but also continue to eat (and serve my family) healthy meals including adequate fruits and vegetables. So how did I do? I managed to stay under the $75 limit (three people at five dollars a day for five days). I didn't even struggle to do it. We ate similar food to what we typically eat and even had enough left at the end of the week for a very simple breakfast out (six dollars for two of us). 1. I have a reliable car and money for gas. These two things are not a given for many families living with food insecurity. In our region, many people live 10 miles or more from the nearest supermarket. Without adequate transportation, they are forced to buy their food from smaller markets that offer fewer healthy options AND tend to charge higher prices because of their smaller scale. 2. I know how to cook. Again, this is not a given. 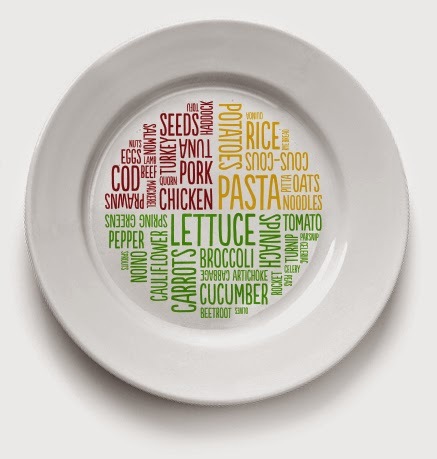 Many adults have grown up on packaged foods and don't know how to create healthy meals from whole foods. Because our agricultural subsidy system rewards commodity growers, foods like boxed mac and cheese and ramen noodles are incredibly cheap while offering almost no nutritional value beyond calories. By knowing how to cook, I can make foods with much higher nutritional value from cheap ingredients like onions, potatoes, and frozen corn (which became a corn chowder at $1/meal last week). 3. I have a full, working kitchen in my house. I don't only know how to cook, but I have all the tools I need to cook most things: a working refrigerator, stove, and oven, plus pots and pans and knives and wooden spoons. If you are homeless or living in a hotel room or couch-surfing with a different friend every week because you have lost your house to the mortgage crisis or your job to the recession or your whole way of life because of a catastrophic illness, you probably don't have access to a full kitchen. Maybe you have a mini-fridge, a hotplate, and a microwave in your hotel room. Or maybe you have an open fire. Either way, you aren't going to be cooking a lot of made-from-scratch meals and you can't count on being able to store food, whether we're talking about ingredients or leftovers. For me, I could make the giant pot of corn chowder at the beginning of the week, knowing I could portion it into containers and keep them in the fridge for lunches throughout the week. 4. I eat a mostly-vegetarian diet. I eat fish and other seafood somewhere between two and four meals a month usually. Otherwise, I don't eat any kind of meat. During the Challenge, I didn't buy or eat any fish, so my proteins were all much cheaper than almost any cut of meat you can find. We had omelettes one night and even though I purchased local Alexandre eggs, they still only cost $3 for all of our omelettes. We had tofu another night -- at a buck-fifty a pound, our main course cost all of 65 cents per person once I added in the cost of seasoning and the oil for pan-frying. I do, of course, have even more advantages -- I don't work two jobs, I don't work swing shifts, I don't have a job that leaves me physically exhausted at the end of the day -- but the four discussed here helped me stay within budget without much trouble. The causes of poverty and food insecurity are systemic and closely related. The effects of food insecurity are devastating -- people who do not get adequate nutrition get sick more often, can't concentrate as well at school or a job, and simply can't live up to their full potential. One in seven Americans relies on SNAP. One in seven Americans is at risk of falling below their potential. It doesn't have to be this way. So you've taken the first step and registered to be part of the 2014 DNATL CalFresh Challenge from October 20th to 24th. (What? You haven't registered yet? Register here!) You've committed to spending just $5 per day on all of your food and beverages. Unless you're used to living on a tight food budget, you might be getting anxious about what you'll eat next week. We've put together some tips to help you be successful. First, rethink your drinks. Consider sticking to water during the Challenge! It's the most cost-effective choice. But if you are used to grabbing a latte (at $3.50) on the way to work and can't give up the caffeine, what are some alternatives that will fit your new budget? If you often relax at the end of the day with a glass of wine or beer, you should stock up on Two Buck Chuck or figure out a replacement. Although you certainly can find beer to fit a $5/day budget, think carefully before you commit 15-20% of your total food budget to alcohol. The cost of juice, soda, and sports drinks also adds up quickly while adding lots of sugar and not much nutrition. Fourth, remember why you're doing this Challenge. The CalFresh Challenge isn't about winning or losing. It's not a competition. The goal is for you to gain new understanding of the lives of people living with food insecurity. If you absolutely have to attend a business lunch and your meal consumes three days worth of your CalFresh budget? Take a deep breath, enjoy the meal, and take $1.50 out of your Challenge budget to represent the lunch you would have had otherwise. Just remember that someone who actually lives with a CalFresh budget wouldn't have that option and think about what that would mean for feeling included at work functions. Fifth, join in one of our Food Day community dinners on Friday! Even though you're supposed to avoid free meals during the CalFresh Challenge, make this one exception. 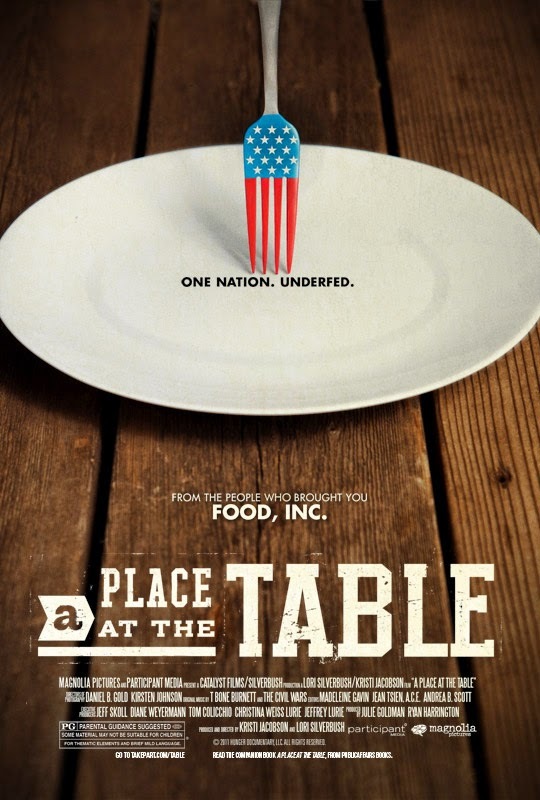 We'll be showing A Place at the Table, a movie about hunger in America, and providing a free dinner in Crescent City, Gasquet, Klamath, and Smith River. Consider sharing your Challenge experience during the community conversation after the movie. Find details about the showings here and take a couple bucks out of your budget to account for the dinner. If you're struggling to find low-cost recipes, check out USDA's recipe finder. Most of the recipes on their page are geared toward low-income food budgets. Googling "low budget recipes" will also net hundreds of low-budget, but very tasty recipes. Thank you for participating in the CalFresh Challenge! We wish you happy eating and hope you share what you learn with others. This is the warning label that was proposed to appear on all sugar-sweetened beverages including soda, sports drinks, energy drinks, and other sugary beverages. Sugar-sweetened beverages are the largest contributor of added calories in American diets. These beverages and the consumption of “liquid sugar” pose unique health risks, many of which consumers are unaware of. According to the California Center for Public Health Advocacy (CCPHA), drinking one soda per day increases the risk for obesity in adults by 27 percent, and a child’s risk by 55 percent. 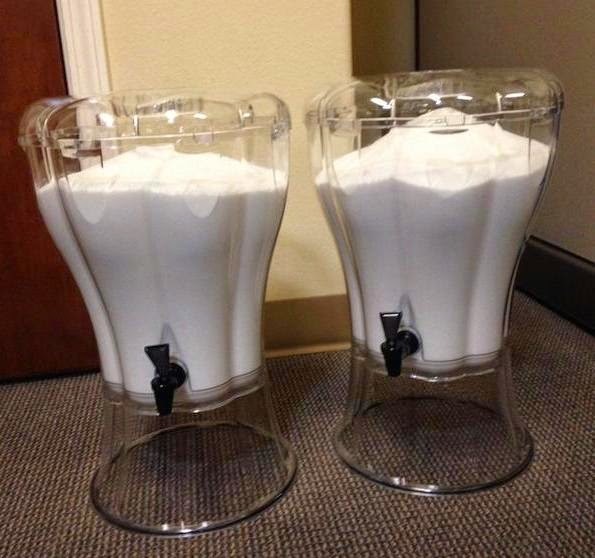 The average American consumes over 38 pounds of sugar per year JUST from sugar-sweetened beverages. There is an increasing amount of research linking sugary drink consumption to rising rates of diet-related diseases. According to a recent Change Lab Solutions webinar, unless the obesity epidemic is reversed, 1 in 3 children born after the year 2000 will develop type 2 diabetes in their lifetime. Almost half of all Latino and African-American children will develop type 2 diabetes if current trends continue. The effects of diabetes can be extremely serious, most commonly causing blindness, amputations, insulin shot dependence, kidney failure and nerve damage. The beverage industry is intentionally targeting young people in their advertising, especially African-American and Latino youth. Higher exposure equals higher consumption. Something has to be done. In February of this year, State Senator Bill Monning introduced the first legislation in the U.S. requiring safety warning labels on sugary beverages sold in California. 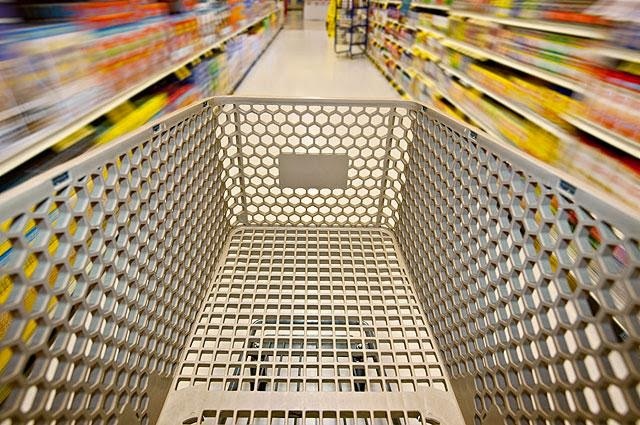 The Senator, among other supporters of SB 1000 claim that this legislation will give consumers the essential information they need to make healthy and informed choices. CCPHA has been a leader in this movement, and has support from almost every major state newspaper, over 150 different organizations in California, and 74% of Californians. SB 1000 continued on, but eventually the bill was voted down in the California State Assembly in an 8-7 vote. The bill passed the California State Senate, but fell short in the State Assembly’s Health Committee because of strong opposition from the beverage industry. With 74% of Californians in support of this legislation, it is clear that people want to be informed, but the beverage industry is resisting transparency. The warning label isn’t the one answer to our nations sugar-sweetened beverage addiction. However, it is a first step. The purpose of the warning label is to guide the consumer’s attention to specific products, so that they can make informed choices. The warning label, as an authoritative statement from the State, aims to educate consumers. The label states a proven scientific fact. This is an early strategy to change social norms, according to the CCPHA. For example, the Surgeon General warning on cigarette packaging was put on at the peak of cigarette consumption. After this label appeared on all cigarette packaging, consumption declined. Two-thirds of smokers say the warning label is an “important source of health information, decreases the attractiveness of the product, and is strongly associated with the desire and intention to quit”. This is the exact outcome we hope will be a result of a warning label on sugary drinks, and this is the reason the beverage lobby is so opposed. They know it will work. Big Soda also knows that people are angry, and we want change. This is why the three largest soda companies (Coca-Cola, PepsiCo and the Dr. Pepper Snapple Group) pledged at the 10th annual Clinton Initiative to cut the number of sugary drink calories that Americans consume by one-fifth in about a decade. How will they do this? They claim, “through a combination of marketing, distribution and packaging”. Their plans include expanding low-calorie and no-calorie drink selections, selling smaller portions of drinks, and using marketing and promotional skills to help educate consumers and encourage them to reduce the calories they’re drinking. The beverage industry is attempting to distract the public from the fact that they lobbied against SB 1000 and that in the midst of making this pledge, they are pouring money and resources into fighting soda tax initiatives, which aim to reduce calories consumed by sugary beverages and educate consumers. The goals of SB 1000 and the proposed soda tax are the same as those outlined in Big Soda’s pledge. The problem is that the beverage industry is more interested in protecting sales and saving face than in working together and the health of the American public. Sales of sugary drinks have been declining in recent years, so soda companies have expanded to offer energy drinks, vitamin-enhanced waters and juices. The market is already heading in the direction of healthier choices, so they’re essentially “promising what’s going to happen anyway”, according to Kelly Brownell, an expert on obesity at Duke University. It’s no coincidence that this pledge is coming at a time when the beverage industry needs to rethink their strategies and gain points with the public. Not to mention, the soda tax vote in Berkeley is fast-approaching. If the three biggest soda companies are sincerely interested in decreasing consumption of calories by sugar-sweetened beverages and the education of consumers, shouldn’t they be in support of legislation that will achieve those goals? Even if these soda companies do focus on lower-calorie and smaller sizes of sweetened beverages, there are still many sugary drinks that are perceived as healthy by consumers. For example, juices with added sugar, or vitamin-enhanced “waters” can contain just as much sugar as a soda. The warning label on these drinks would equip the consumer with the information they need to make educated choices. Luckily, CCPHA isn’t ready to give up the fight. They are confident that SB 1000 will be reintroduced in 2015, after “continued grassroots organizing, expanding organizational support, and increased community education”. In the meantime, spread the word, drink water, and voice your support! With abundant local produce choices and pleasant weather, summer is a great time to focus on healthy eating and getting active outdoors. First 5 California's Hands-On Health Express aims to empower families to do just that. The Hands-On Health Express is an award-winning bilingual children's exhibit. The van travels across California, inspiring families to eat more nutritious foods and incorporate physical activity into their daily routines. 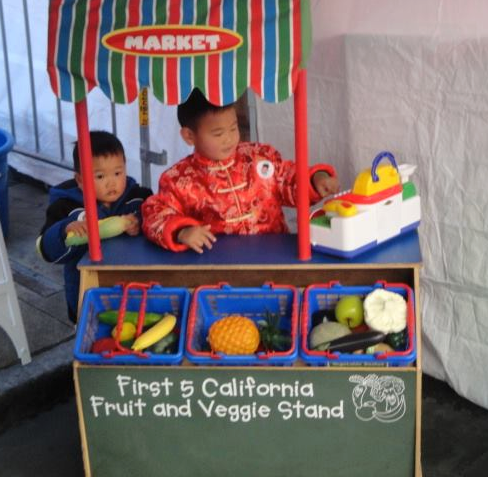 The traveling exhibit features "Edu-tainers", who educate and empower families using interactive games, activities and a pretend farmers market. Don't miss out on this opportunity. There will be fantastic resources for families and children focused on healthy eating and active living! 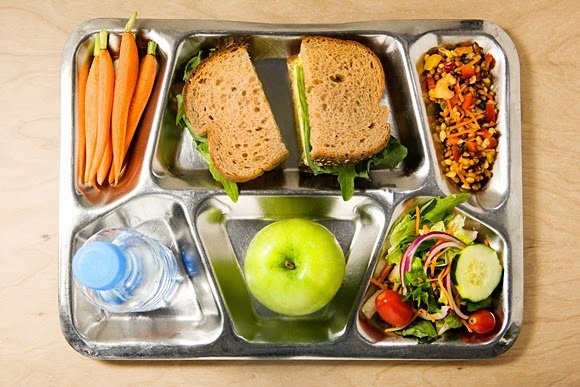 “The School Lunch Debate” has been all over the news since a House subcommittee approved a measure allowing school districts with proven economic hardship to temporarily opt out of the Healthy Hunger-Free Kids Act nutrition standards passed in 2010. The new measure would allow schools to sidestep new standards for lower-sodium and 100% whole grains in meals. GOP leaders and the School Nutrition Association, which represents school food service directors and food suppliers, claim that the new requirements are unattainable. They are saying that kids aren’t interested in the healthy options; therefore the schools are losing large amounts of money due to waste. There is also concern about effectively reducing the amounts of sodium and other preservatives. According to NPR, about a month ago, the USDA decided to relax its guidelines on whole grains by “offering a two-year extension for schools that can 'demonstrate significant challenges in serving whole-grain rich pastas' to continue serving 'traditional enriched pasta products' for up to two more years as the food industry develops better whole-grain pasta products for schools". Supporters of upholding the Healthy Hunger-Free Kids Act nutrition standards include the First Lady Michelle Obama, Secretary of Agriculture Tom Vilsack, the National Education Association, the American Medical Association, and the American Heart Association. Education paired with healthy options could be the answer to healthier students and less food waste. Kids are more likely to eat fruits and vegetables that they’re familiar with, and toss out those that they don’t know. Research has shown that kids need to be exposed to a new food 10-15 times, before they are likely to try and acquire a taste for it. More than 40,000 schools across the U.S. are currently engaging in farm-to-school activities. Students who are introduced to new foods in the classroom or school garden are more inclined to try them in the cafeteria. Education is a powerful and effective preventative measure to combat diet-related disease. Paying extra for more nutritious foods in our schools costs much less than the $14 billion per year spent on treating conditions such as type-2 diabetes and hypertension in children. One in three children in the U.S. is currently overweight or obese, and one in three children will eventually develop diabetes if current trends continue. The answer shouldn’t be taking away these standards for nutrition, but instead figuring out ways to help schools achieve them more easily, and with less waste. Eating seasonal produce grown close to home is an important contribution that anyone can make to a healthy local food system. As an added bonus, seasonal produce is fresher, tastes better, and is often cheaper than its out-of-season counterparts. However, feeling comfortable identifying, purchasing, and preparing produce that’s in season is not a reality for many people. Education is a key piece to building a healthy and conscious community. Nutrition education can be incorporated into any subject matter. There’s no doubt that it is beneficial to expose children to various fruits and vegetables and healthy lifestyle choices at an early age. According to Champions for Change, research has shown that eating a colorful variety of fruits and vegetables and getting at least 60 minutes of physical activity daily helps children to maintain a healthy weight and lower risk for serious health problems. Harvest of the Month aims to increase access, preference and consumption of local and seasonal produce. The primary audience is students of any age, but there are also components included for use with families and communities. The program was originally created by several local school districts in California as part of a broader nutrition education program targeting low-income students, but was launched as a statewide effort in 2005 by the California Department of Public Health. Harvest of the Month features resources that can be used in a wide variety of settings including schools, daycares and farmers markets, to name a few. These materials include tasting recipes, history, nutrition information, family and community newsletters (in Spanish and English), and activities relating to the featured produce. Harvest of the Month currently reaches 2,900 students in Del Norte schools each month. 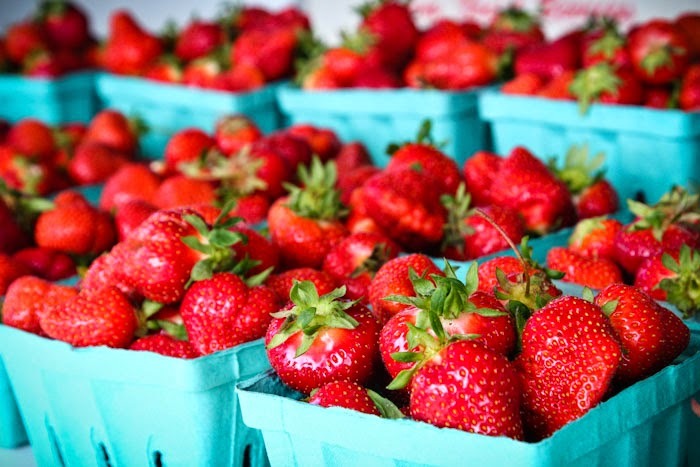 The program in Del Norte is supported by the Community Alliance for Family Farmers (CAFF) and sources produce from local growers whenever possible. This creates and builds upon partnerships between growers and the greater community, while creating long-term sustainability. Since the implementation of the program, an increase in consumption of fruits and vegetables over the course of one school year has been recorded by surveying 4th, 5th, and 9th grade students. 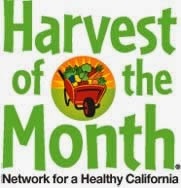 The Harvest of the Month Program was funded in the past by the Network for a Healthy California. However, they have shifted their focus away from schools and these funds are no longer available to support this program. 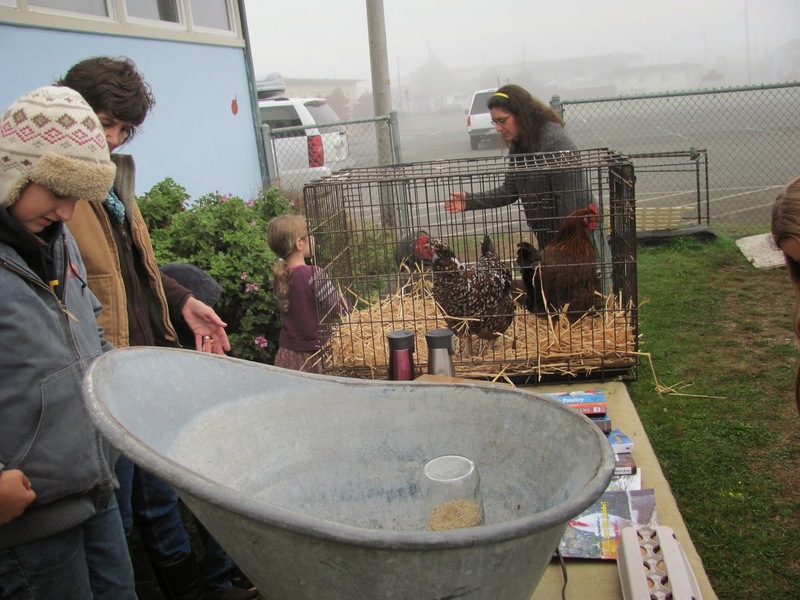 The Community Food Council for DNATL, along with CAFF and the Del Norte County School District, has been committed to ongoing efforts to keep Harvest of the Month in our schools. These efforts have included creating community partnerships, fundraising, exploring alternative funding sources, and spreading the Harvest of the Month message to the whole community. In addition, the Food Council is working in partnership with SNAP-Ed at the Department of Health and Human Services to implement new Harvest of the Month Programs and expand those that already exist in Home Daycares, Preschools and Head Starts in DNATL. We have created a resource guide for the Harvest of the Month Program that can be used by 0 to 5 providers. The guide includes tasting recipes, educator guides with produce information, physical activity for the classroom, and poems about enjoying seasonal produce. The Food Council recently attended the Child Care Council’s Annual Home Daycare Providers Conference and gave fifty-eight copies of our resource guide to the Home Daycare Providers in DNATL. We are also providing all of the preschool and head start providers with resource guides for the upcoming school year. One of the goals of the Food Council in the coming year is to support 0 to 5 providers in effectively using these resource guides and being able to more easily incorporate the Harvest of the Month Program into their already packed curriculums. The Community Food Council is working to build a vibrant and sustainable food system in DNATL in various ways. Through promoting the Harvest of the Month program, we are aiming to have a positive influence on students and their families. The larger goal is to ensure that they will be surrounded by healthy choices and possess the knowledge and skills to support a nutritious and active lifestyle for years to come. Recently at the Youth and Family Fair, representatives of the Community Food Council conducted a survey where participants identified the biggest struggles they face when trying to put a healthy meal on the table. Overwhelmingly, the results showed that time, money, and skills/knowledge were the most significant barriers to eating healthy. This was just a recent survey, but it confirmed something that we've suspected to be true for a long time: one of the biggest problems people face is simply not knowing what healthy food is, or how to cook it. As a council, we have often discussed the issue of the lack of knowledge around healthy eating. It seems like it always came up in every discussion we had about how to properly address this issue and how to help: there needs to be a consistent and comprehensive method of teaching basic skills for all aspects of food. With the help of excellent volunteers, like Paul and Julie Jo of Ocean Air Farms, we had been able to hold a few educational workshops on growing your own food. 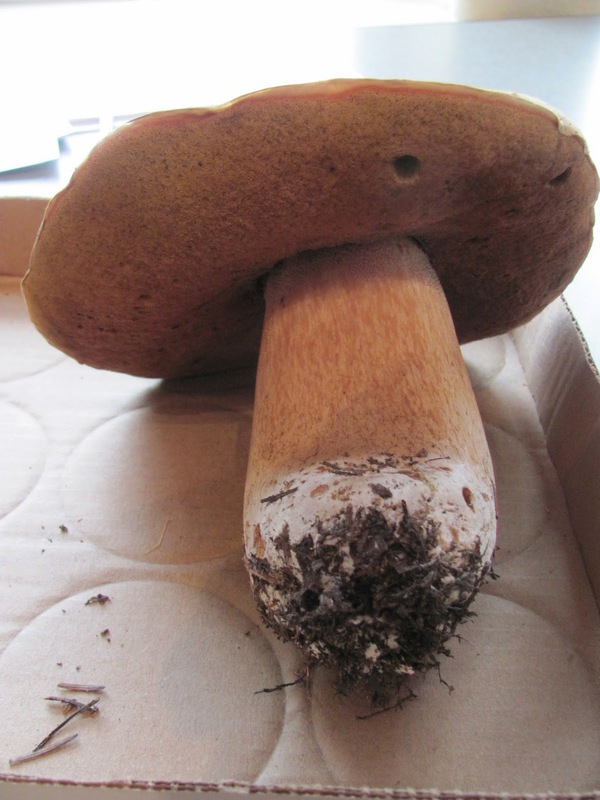 When Food Day 2013 rolled around, proclaiming "education" as the theme for the holiday's festivities, we decided to put a strong focus on food education, from growing your own, to cooking, preserving, and even foraging. on Food Day 2013, we had our first big outing of "DIY Food Workshops." That day we had a whole day devoted to DIY workshops, including mushroom foraging, fermentation, basic kitchen skills, gardening skills, raising chickens, other food foraging, and canning. Our day of DIY was a great success, so the Food Council decided to make these DIY Food Workshops an on-going event. 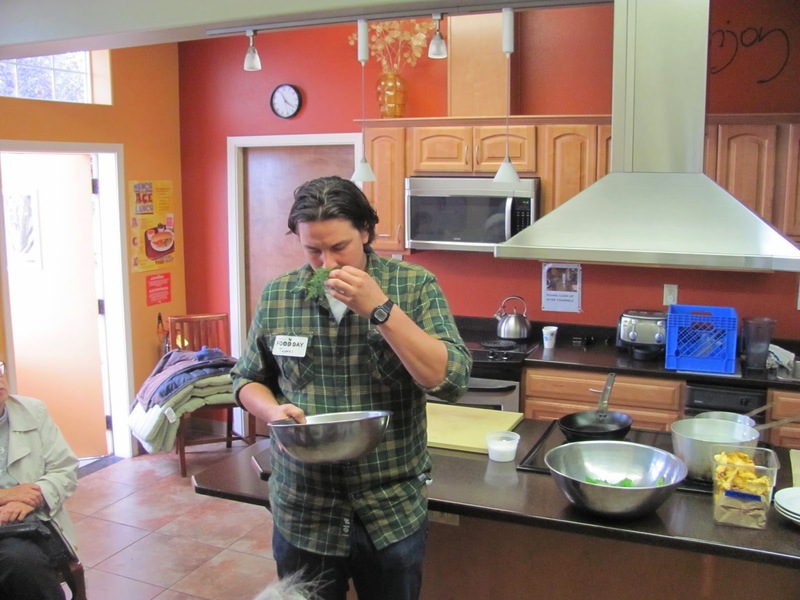 Starting in January of 2014, the Community Food Council kicked off its series of DIY Food Workshops with a two-part workshop on consecutive weekends; the subject was home canning, including water bath canning and pressure canning. We were lucky enough to have a representative from the UC Cooperative Extension, Deb Giraud, come down to lead this workshop. Our impressive turn out of 30+ people learned the in's and out's of two different types of canning, got hands-on by canning their own veggies and beans, and were able to take home some basic canning supplies. 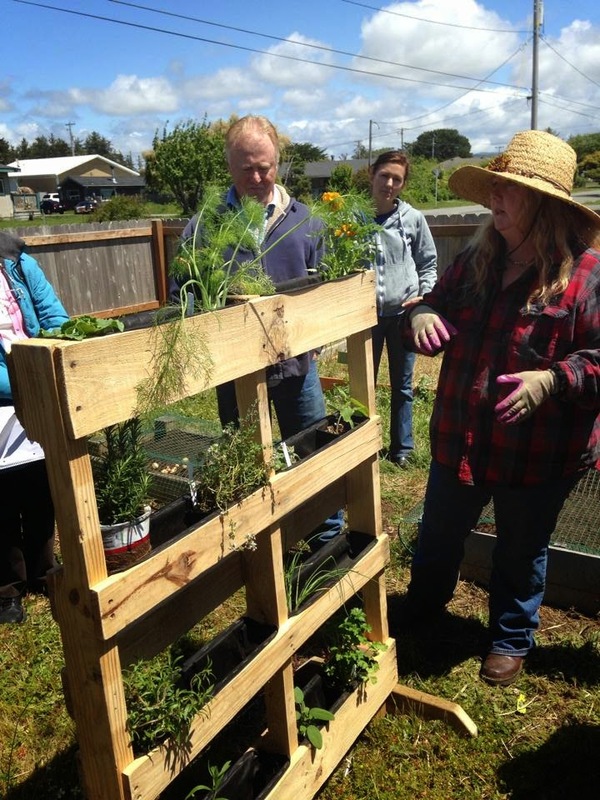 After coming together for this workshop, a small contingent of the attendees followed it up by attending the Master Food Preserver's courses in Humboldt County. Since our first DIY class, we've since held two more, in March and May. Paul Madeira teamed up with Andrea Souther of the National Resource Conservation Service in March to lead the workshop on Spring Gardening. Paul shared insight with attendees based on his extensive experience with local farming, while Andrea brought equipment to test attendees' soil samples for pH and taught about soil conservation methods. We continued with the theme of gardening into our May workshop, where Annie McAleenan of Annie Mac's Family Produce taught about all the exciting potential of Container Gardening. 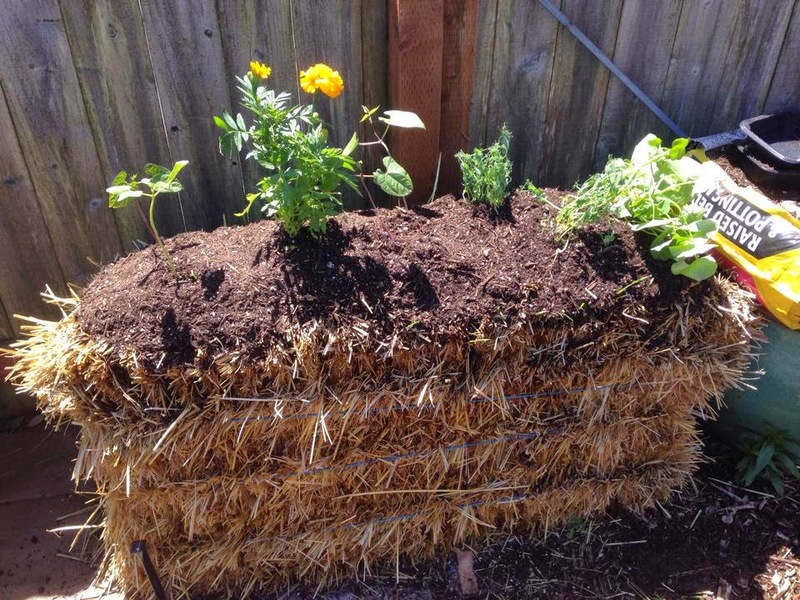 Again, attendees got to get hands on, planting a straw bale, numerous hanging bucket planters, a pallet, and a multitude of other containers that Annie Mac uses for her own home farm. We hope you get the chance to attend one of our workshops in the future. All workshops are free of charge, open to anybody, and will always have raffle prizes to give away! If you have specific topics you'd like to see us feature in a workshop, please feel encouraged to write us at foodcouncildnatl@gmail.com or on our Facebook page: "Community Food Council for Del Norte and Adjacent Tribal Lands."